This week we have been focusing on being kind to our family members as part of our 100 Acts of Kindness Challenge. Although I love my family the most, sometimes they end up getting the raw end of the deal and get a grumpy mama instead of happy or nice one. I am trying to work on fixing that since I am the main example my kids look at in our family. Today I'm going to share three ideas that have helped us work on being kinder to family members. I'd love to hear your ideas too! 1. 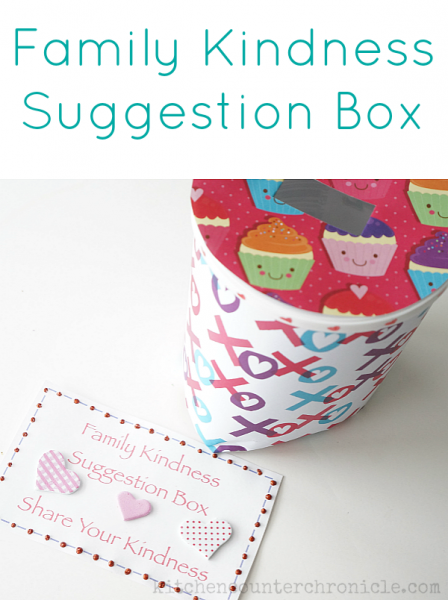 Family Kindness Suggestion Box- this idea was shared with me by Kitchen Counter Chronicles as part of our 100 acts of kindness series. I love this idea and am going to try starting it at our house. This is such a simple way to focus on being kind to one another. 2. Do small kind acts for one another. Acts of kindness don't have to be big. 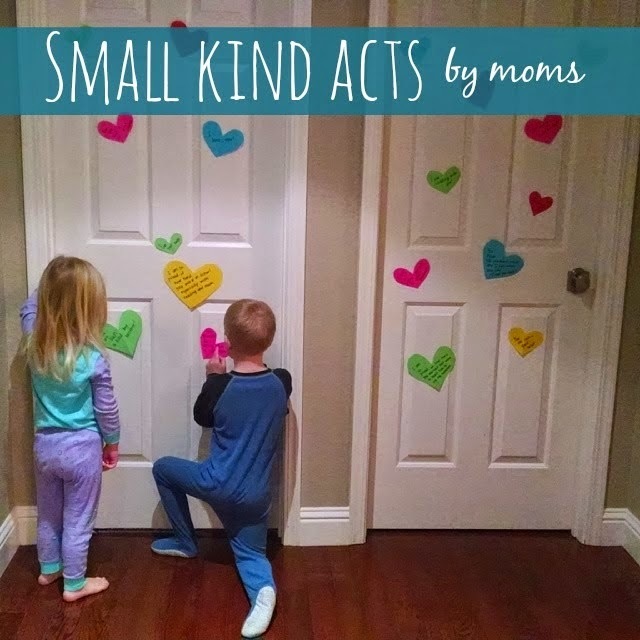 I shared several small acts of kindness that I like to do for my kids. Many of these are acts of kindness that kids can do for parents or siblings too. My favorite one is leaving kind notes stuck to the kid's doors. 3. 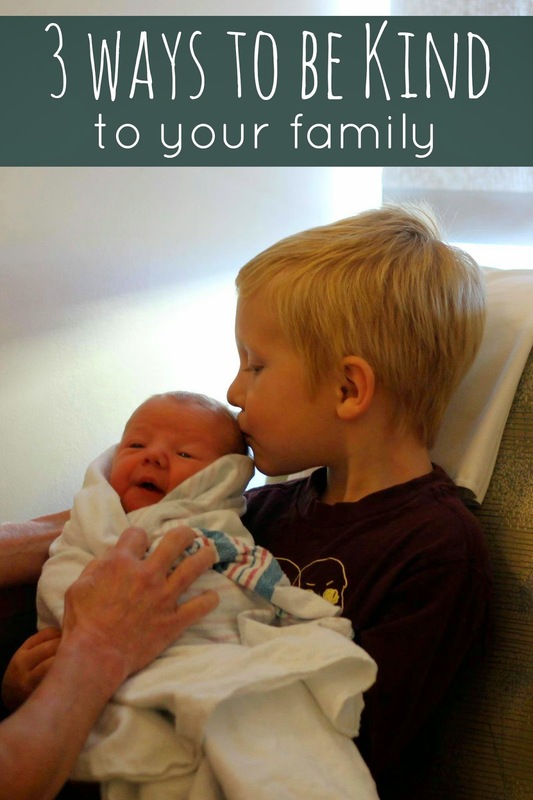 Have a weekly (or even daily) family meeting where you share compliments. We love to have a little family meeting at dinner to talk about our day and get to know one another even better. One thing that I am trying to start is to have everyone work on giving genuine compliments to one another as we chat. It is amazing to see how simple compliments to family members (that are genuine and sincere) can make a world of difference in how family members feel about one another and how I feel about my kids! When I spend my time looking for the good throughout the day, I find out that I truly have remarkable kids (which I know, but forget sometimes)... versus if I am just noticing the annoying things they are doing. Same goes with my spouse. By modeling how to give sincere and genuine compliments I am finding that as my kids grow they are getting really good at giving them to other people without me. Do you have any other ideas that have helped your family get better at being kind to one another? Come tell me about them in the comments. I'll be posting additional kindness activities along with simple toddler activities (and snippets of my life) over on Instagram if you want to follow along. I am @kristinatoddlerapproved. 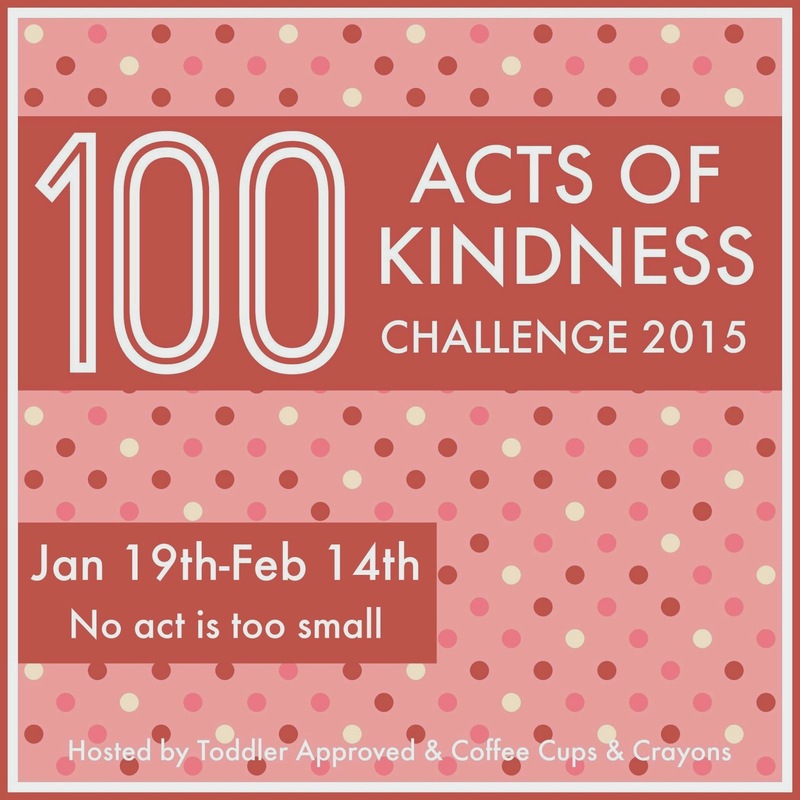 You can also follow my kindness challenge co-host Megan over there at@coffeeandcrayon.